I absolutely love bread. I could eat it with every meal, but sadly I would be about five hundred pounds if I did. However, I do splurge sometimes and french bread is one of my favorites. Have you ever been to Carrabba’s Itialian Grill? 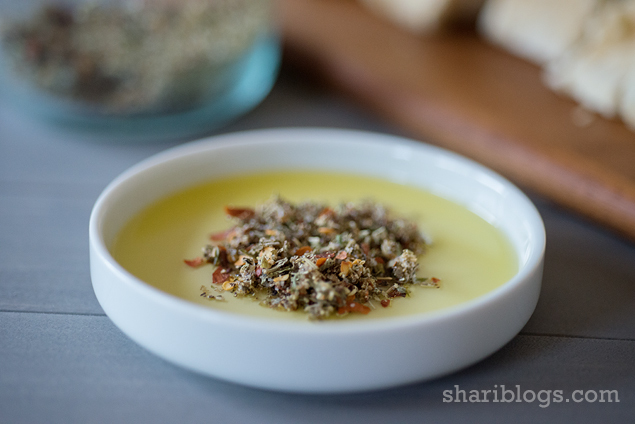 This herb dip reminds me a lot of theirs which is out of this world good! Want my french bread recipe too? It’s super secret. I don’t know if I should share. Ok, you twisted my arm. It’s Pillsbury French Bread Loaf. It is soooo good. It feels like a special occasion every time we eat it. Combine all of the ingredients, except oil, in a small bowl. Put a spoonful of mixture on small plates. 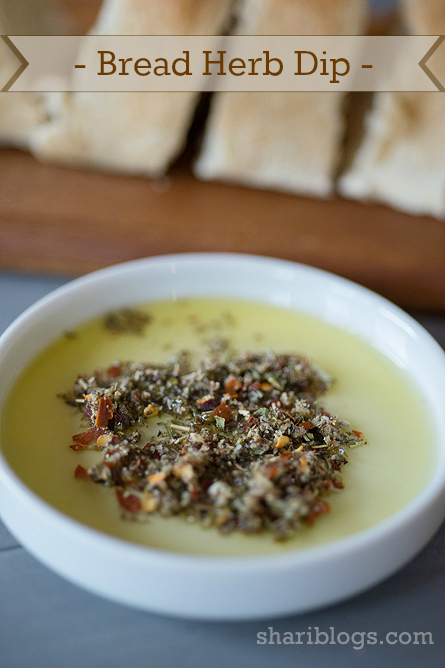 Drizzle olive oil over the herb mix. I have seen this recipe all over the web, but I originally tried it from here. We LOVE Carrabba’s too!! 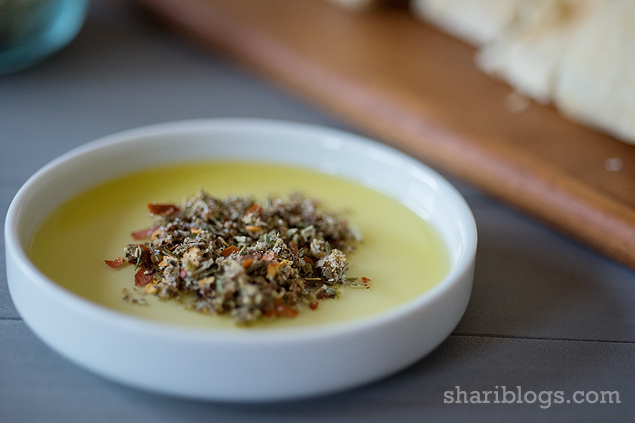 You will definitely love this bread herb dip too. Try it and let me know what you think. It is delicious using bottled spices, but definitely the most authentic if you use any fresh herbs that you can.